 (23andme.com) 23 and Me is a service that supplies you with a DNA kit which provides a personal report on over 100 traits and health conditions. Coupon codes are rare but are often for $50 off the price of a single DNA kit or savings when you buy more than 1 DNA kit. Any coupon codes we find for 23 and Me will be posted here along with the latest promotions. Find out who your ancestors were with this great price from 23andMe. Find out about your ancestry, traits and more with this great deal at 23andMe. Curious to see your family history DNA? Grab a DNA kit from 23andMe and take advantage of all their current offers. Tell all your friends about the incredible benefits that 23andMe Canada has to offer! Your friends will receive a minimum of 10% off their order and you'll get up to a $20 Amazon gift card. Enjoy free shipping when you sign up with 23andMe today. Learn even more about yourself when you buy the Health + Ancestry Service kit. Surprise friends and family with an incredible gift. Let them explore and learn more things about themselves with the 23andMe Canada DNA kit, now 30% off. Learn more about yourself with the Health + Ancestry Service kit from 23andMe Canada. Buy 2 or more kits and get $125 off! Or buy one and get $90 off.